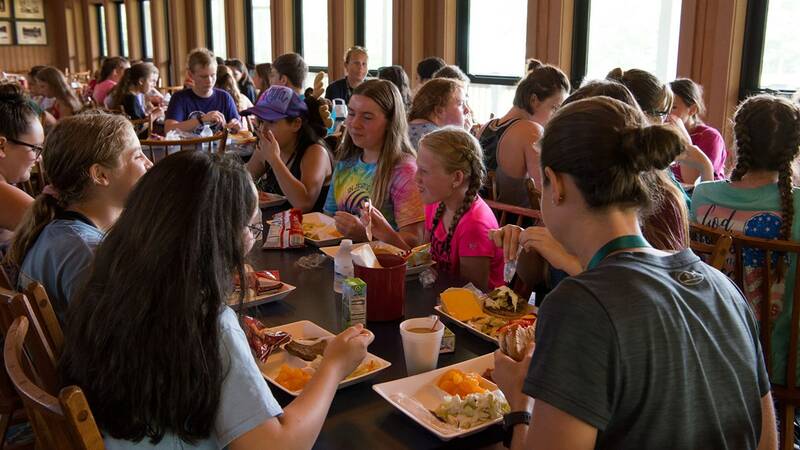 For breakfast, lunch, and dinner, campers head to the Skillet. 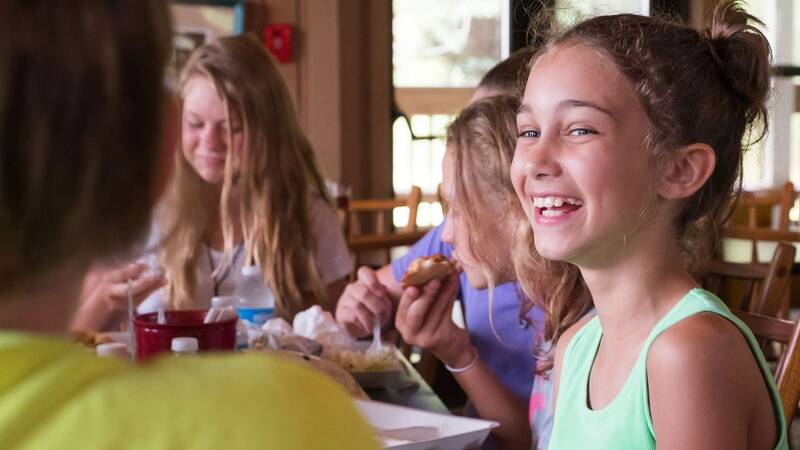 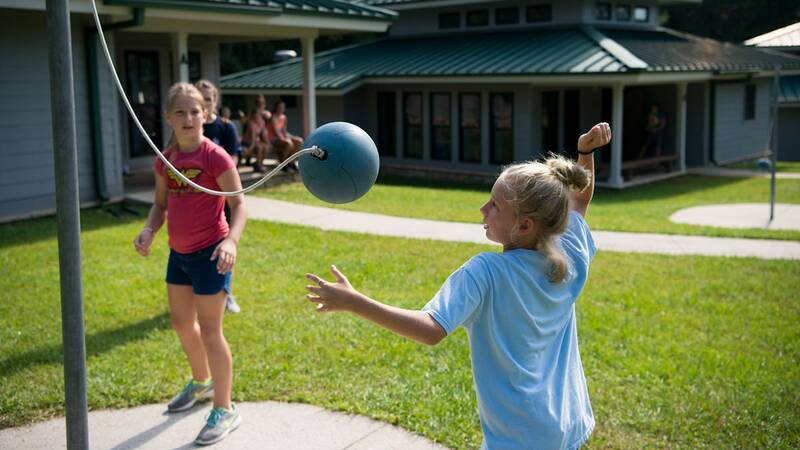 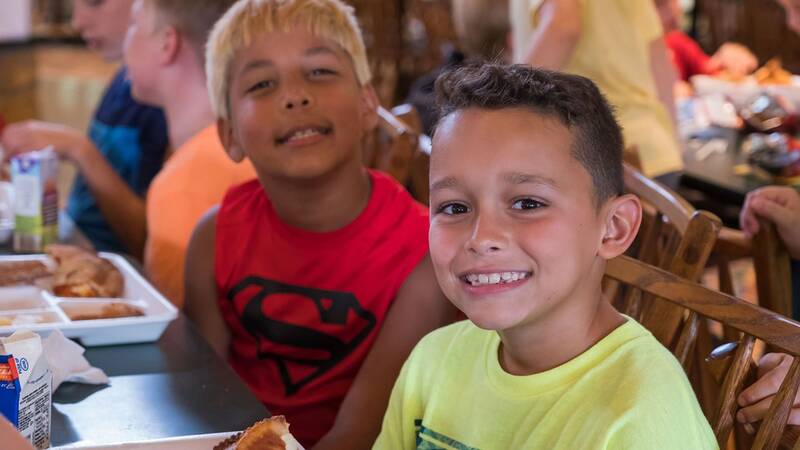 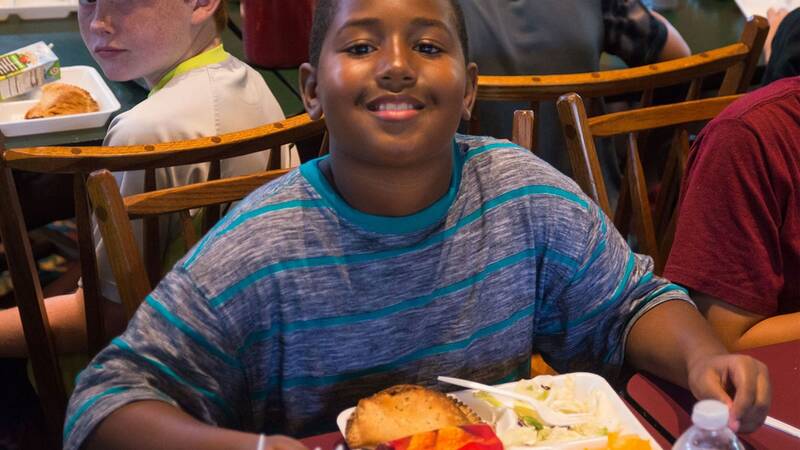 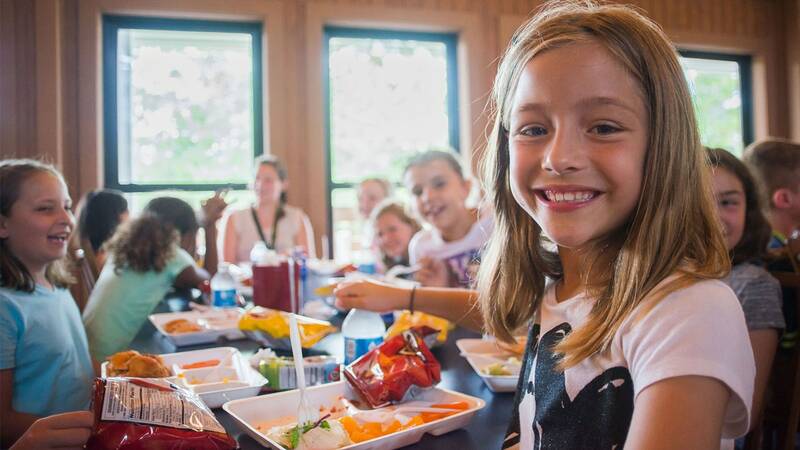 In this spacious dining hall, camp cooks serve healthy, delicious meals that campers love. 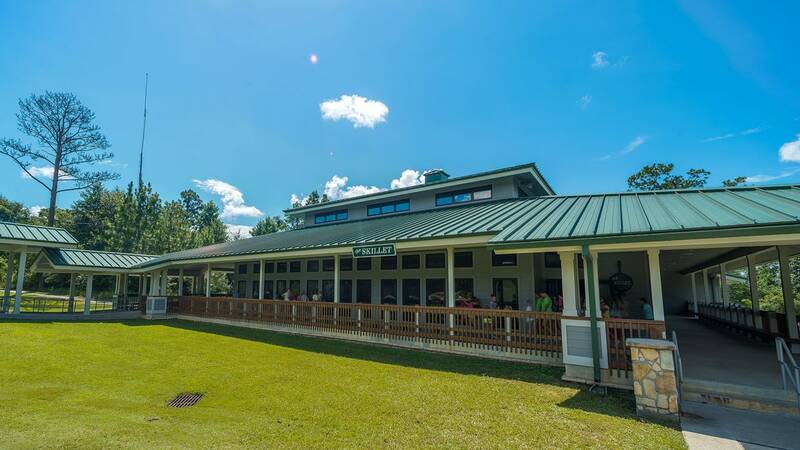 Between meals, campers can buy snacks and cold drinks at the Camp Store in the Rec Room. 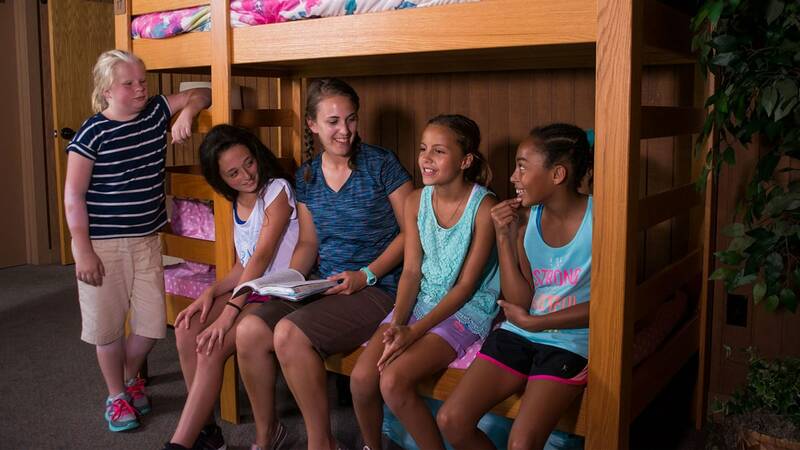 After a fun-filled day, campers rest and recharge in their cabins. 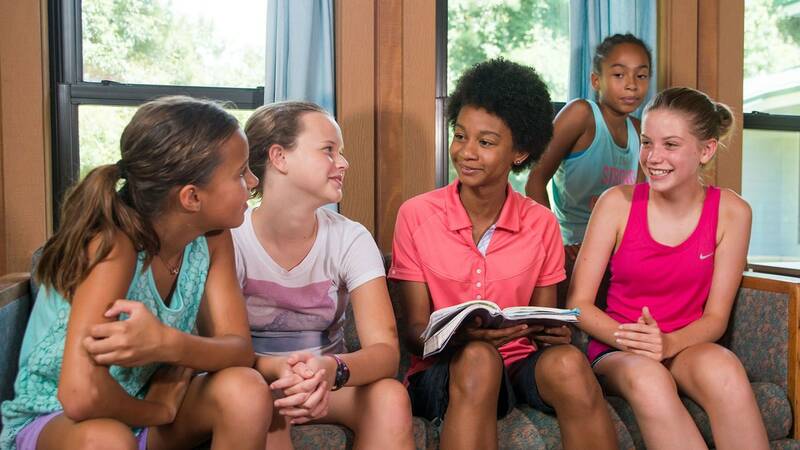 Each air-conditioned, furnished cabin has indoor bathrooms, a day room, and drawer space for clothes. 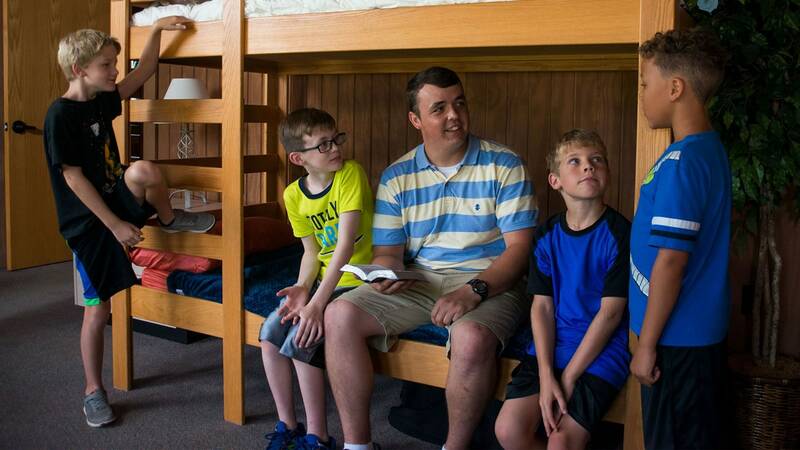 One leader, one staff member, and up to 18 campers are assigned to each cabin. 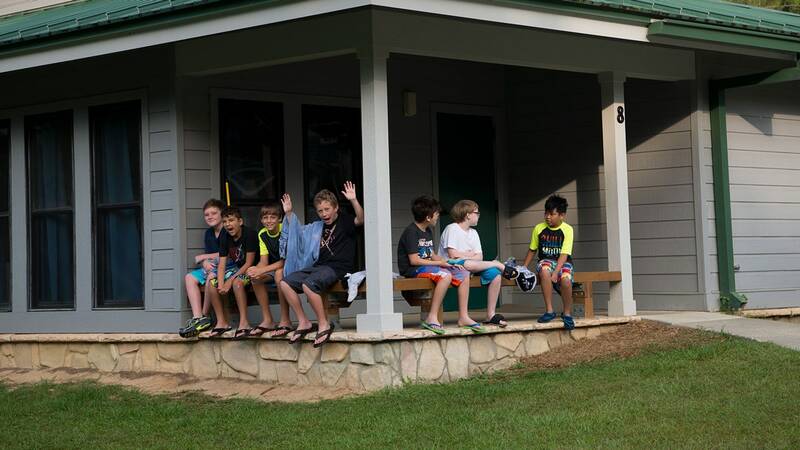 Campers are placed in cabins according to age and birth gender.